It can be said that good things come in small packages when considering the Canon Pixma iP8700. This compact printer is capable of providing professional-quality prints despite being suitable for use in a home office. With printing possible in both colour and black and white, it is also capable of creating an impressive resolution of 9600 x 2400 dpi for fine-quality photographs. 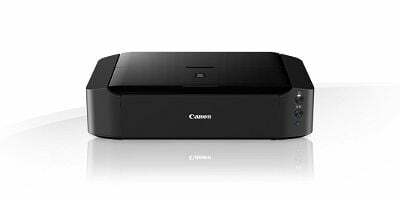 At approximately 23” x 13” x 6.25”, the Canon iP8700 is an inkjet photo printer that is suitable for use in the home. Not only is it of a size that allows it to be placed in a small home office, but it is also lightweight, so it is easy to transfer from one place to another. It can print from A3 size at a speed of 14.5ppm following the download of the software. The Canon Pixma iP8700 is a small and lightweight unit, which means that it only requires a small corner of a desk or a stand. The software is easy to download to a laptop or PC, and it has a USB 2.0 connection to ensure easy use. The capacity of 150 pages of plain paper and 20 pages of photo paper is suited for the use of many types of home office and business. The 128MB memory of the Canon Pixma iP-8700 may be insufficient for some users. The size and weight of the printer may be disconcerting to those who have been used to a more substantial machine, as it may give the impression of being insignificant by comparison. The printer comprises six inks, which may be insufficient for some people.